Dakshineswar Ramkrishna Sangha Adyapeath, USA (DRSA, USA) is a Hindu temple located in central New Jersey. Adyapeath USA was founded in 1995 as a branch of the Dakshineswar Ramkrishna Sangha Adyapeath (DRSA), an organization dedicated to the service of humanity and the worship of Adya Ma (Divine Mother / Primordial Shakti).The New Jersey, USA Branch of Dakshineswar Ramkrishna Sangha Adyapeath (DRSA, USA) was established in 1995. This branch extends the vision and ideas of Dakshineswar Ramkrishna Sangha Adyapeath, Kolkata, India (DRSA) to the residents of United States of America. In the year 1994 Brahmachari Mural Bhai, secretary of DRSA came to New Jersey for the first time to spread the blessings of Adya Ma, and talk about its founder Sree Sree Annada Thakur. In the summer of 1996, he was joined by then President of the Sangha, late Brahmachari Siddheswar Bhai. They were overwhelmed by the enthusiasm of devotees of Adya Ma. Late that year DRSA authorized a similar organization to be formed here in New Jersey as its branch — the first of its kind outside of India. On December 7th, 1996, DRSA, USA was formed with a temporary address of 296 Savoy Ave, Edison, NJ with twelve members. DRSA was founded in 1921 by Sri Annada Thakur at a large compound just outside Kolkata, India, in the historic village of Dakshineswar. The Sangha operates orphanages, schools, homes for the elderly, ashrams, and services for the poor, including providing food, clothing, and medical care. At the center of all this activity stands a uniquely beautiful white marble temple to Adya Ma. DRSA, USA membership has grown to over hundred since then. 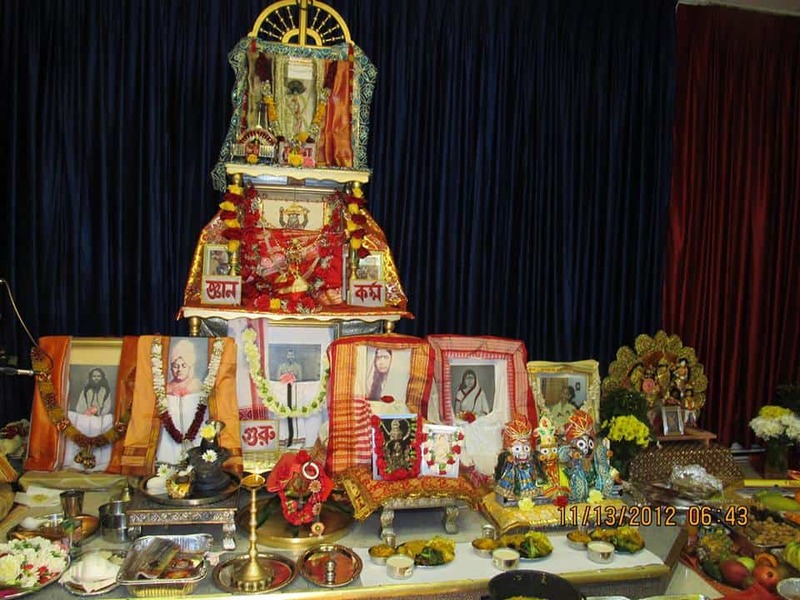 In 1999, DRSA, USA celebrated Kali Puja with Brahmachari Subrata Bhai from Adyapeath, Kolkata performing the puja of Kali pratima that he himself had created here. In 2000, Br. Subrata Bhai performed the puja of Jagaddhatri pratima that also he created here. 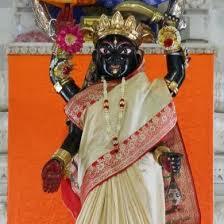 DRSA, USA has been staging Kali Puja and Jagaddhatri Puja ever since, with attendance increasing every year. Through these years, DRSA, USA has firmly established itself as a branch of DRSA with blessings and support from the parent body. In January 2002 DRSA, USA acquired a one acre property in Franklin Township, NJ; establishing a priest house and a prayer hall. Adya Ma’s message needs to be propagated to every corner of the world to bring joy and peace to all. Adya Ma’s blessings are with all of us. 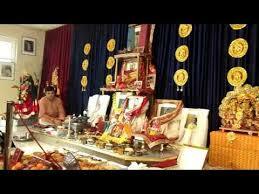 DRSA, USA is currently planning for a bigger place to establish a mandir for Adya Ma. Time: Weekends:9am - 12pm, 4pm - 9pm,Weekdays:9am - 12pm, 3:30pm - 8:30pm.